Centrally located in the heart of High Point Market, Main Street Properties include Furniture Plaza, Plaza Suites, National Furniture Mart, and 300 S. Main St. Six new exhibitors are bringing innovative resources and product debuts to the Main Street Properties this spring. New tenants in the Main Street Properties for Spring Market include: 300 South Main (patio furniture) and Dallas Leather Works (leather sofas and sectionals) in 300 S. Main St.; Evolur Home (baby-to-adult furniture), Franklin (quality upholstered motion furniture); and Huaian Xinhefeng Furniture Co. (solid wood furniture) in Plaza Suites; and Greentouch Home (high-end furniture) in Furniture Plaza. These new exhibitors join a list of notable lines across the four properties that include: Canadel; Freeline Home; Fusion Furniture; Jackson Furniture/Catnapper; Jofran; KUKA; La-Z-Boy; Mstar; Man Wah Cheers; Motosleep; Powell and Southern Motion. Franklin, a leading supplier of quality upholstered motion furniture, is relocating and expanding into a showroom in Plaza Suites this spring. The company’s line features recliners, reclining sofas, reclining sectionals, lift chairs and stationary sofas and sectionals. For Spring Market, Franklin will be introducing new collections in their Mark Thomas motion line. Greentouch Home, a newcomer to Furniture Plaza, is a manufacturer of premium Scott Living-branded bath vanities, electric fireplaces, heaters, beverage centers, wine chillers and lighting. Greentouch Home will be showcasing two fireplace/media consoles in Fullerton and Downey at High Point Market. Fullerton features a built-in wireless sound system while Downey features a curved insert and interchangeable wood/glass door panels. Plaza Suite newcomer, Evolur Home, is a baby-to-adult furniture supplier that mixes innovative design and quality with versatility. The line includes cribs, dressers, chests, strollers and mattresses, among other products. 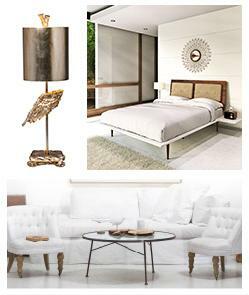 Evolur Home will be showcasing its top-selling Aurora, Julienne, Belmar and Cape May collections at Spring Market.